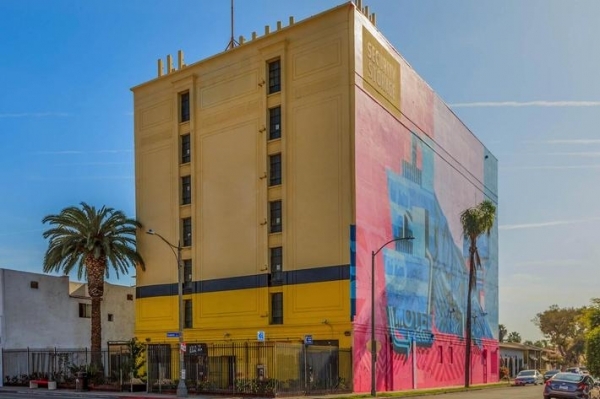 Since 1999, Long Beach Security Storage has been one of the leading self-storage facilities in Long Beach, California by providing superlative storage solutions for both residential and commercial customers. Specializing in affordable self storage, and business storage. We offer a secure,clean,and friendly environment for all your storage needs. Only problem is that the elevator is currently out of order. The workers are very helpful, never rude. Clean facility and friendly staff. Well organized. Will definitely recommend the facility. Clean, and friendly staff and affordable. Overall good place, customer service is good but wish they would not increase rate every 6 months, it's starting to get pricey. There are some flaws with elevator and customer service. Havenât physically been there in a few months. Price is fare, but donât expect much else. Itâs a diginy dirty building with drive up access through a cramped and even dirtier ally. Every time I have gone to add more or get something out of my storage unit. I have had to wait several minutes after ringing the bell for the elevator, for an attendant who usually seems like they are being bothered by having to do there jobs. The price for my size unit seems fair. However if an employee at another storage simply paid me a complamint. Iâd pack up my stuff and jump ship. As big of a hassle as that might be. Iâd guess it would be worth it. Staff is knowledgeable and courteous. Very helpful in resolving issues. Thanks for your help! Since you cannot use the freight elevator you may find yourself walking up many flights of poorly lit stairs to get to your unit. I have made my feelings about your facility clear to a couple of your employees from early on. 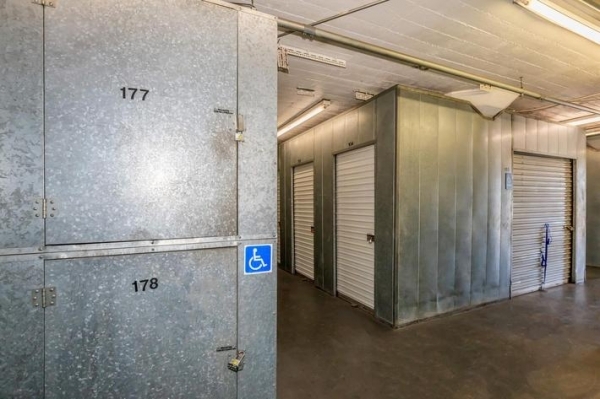 I grit my teeth every time I have to fork out almost $115.00 a month for a 5'x10' (increased 4 or 5 times starting at $90.00 per month in September 2015), non-air conditioned storage unit. The response has always been, well, you obviously aren't up to date with storage facility costs, this place is basically a bargain. Really? The facility is well over 100 years old, and that includes the huge, ancient elevator. Several times over the past 2-1/2 years, the elevator was not working. 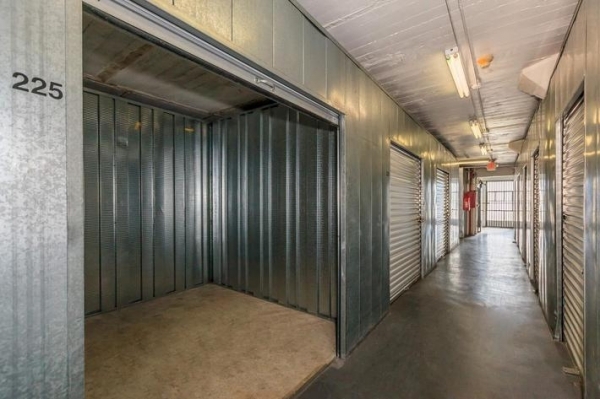 What if getting to my storage unit #537 was an absolute necessity? Now, I can't even take the elevator when it's working, I have to walk up to 5th floor (what do disabled or elderly people do???). It seems clear that the owner(s) don't trust that the elevator is safe. Ridiculous, and how safe to your employees feel when they have to take the elevator from the ground floor? Good price, good location, smells kind of bad though in the building. It was pretty quick and easy. The staff are very nice. We were able to easily get all our stuff into our storage unit. The carts and the lift were easily accessible and helpful. Worked with me when I had an discrepancy. Inexpensive clean and very helpful when moving things in and out of storage I only wish the hours where longer to be able to access my unit. 5:30 M-F 4:30 S-S does not give the average person much time to do much. Otherwise I am good. The extra charges was unexpected, and the loading the elevator then walking up the stairs was an unexpecting surprise, and the customer service needs work. 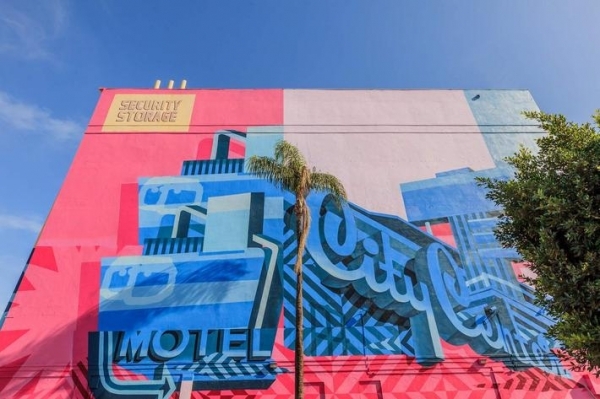 the Long Beach Security Self Storage facility, located on Anaheim by Walnut is an affordable, old-school storage facility. It's a tall building and requires customers to use the stairwell to access belongings. The elevator is for freight only. easy drive up from the alley and ample carts make moving in or out a breeze. the place is clean and the female workers i've encountered were very nice and accommodating. it suits my needs perfectly. Be prepared to pay out a lot in administrative fees, deposit, their insurance and their padlock. Cost me $120 right off the bat. Also the elevator is only for your storage not you. They donât tell you this until after you pay. I have to walk up and down 6 flights of stairs!! They have provided excellent service through the years with a clean facility, and helpful and friendly staff. God price. They don't have elevators for the renters but it has it for the items. It's a freight elevator only. I can count all the stairs as my workout. Twice, in August, I've arrived on Sunday to find Long Beach Security Storage shut early. I get that, being an all-indoor facility, the access is going to be 'Office Hours'. What I do not accept is the employee in charge *making her own hours to suit herself*. However, on Sunday Sep 3rd, I arrived with 12 minutes to spare, plenty of time for what I needed. As I entered, the girl said, "We're closing right now." I told her I needed 2 minutes, not sure of what action, considering she's already breaking the rules, would be taken if I used the 5 minutes I actually needed -- even though that would have left 7 minutes to spare. What are you going to do when the staff is pressuring you, with no reason, except that they don't like their job enough to honor the hours posted, in print, on the wall? I can understand if someone pulled up with a truckful near closing; but I was obviously on foot with two bags, so any issue is purely her own: to leave early. That was rushing me to prep for the closed day, Sep 4. Pressure made me nervous, and I forgot stuff I needed: the right clothes for nights outdoors. I had arrived in plenty of time; but the person in charge wasn't recognizing the hours listed, in red, on the walls. As I left, I asked a reasonable question: "Why were you closing early?" She ignored my question, and backpeddled, saying, "But I let you in", admission that she knew she was caught closing up before the correct time. She didn't *want* to let me in, and hassled me for it, which I told her. Her response was sarcasm. I don't need sarcasm from an employee doing wrong; and no other customer should put up with that behavior. She has no excuse; nor is it a 'misunderstanding'. She fully intended to close shop before the posted time. Why is this employee working there? More to the point, why is she in charge on her shift? With her attitude, she'll close early again. Don't rent here. You'll be locked out early, from the access you paid for. Great service, good pricing, and a decently clean storage. Never any problems. Very thorough. Great customer service, a they are ready to help you and when you have a question they are very knowledgeable. I think the staff was friendly enough. You had to purchase an overly priced cheap lock instead of your own. There were no stairs so you had to trek up and down to meet your stuff in the elevator. There was no where to park your car much less a uhaul. The staff was nice but there is no where to park your car or uhaul. Customers are made to take the stairs when at facility. There is one elevator that your belongings go in that is shared with other tenants. A hassle to move in but the price is ideal! Unfortunately, the elevator is not for passengers other than an employee operator, so for each load you take up this multi-story building, you have to ring a buzzer and wait for someone to come from the office. Then you have to climb the stairs all the way to your floor (opt for 1-3 if you can) and load your things quickly. Same process to get any carts you used back downstairs. It may not be easy, but with a Sparefoot 1st month free discount, a AAA discount, and a 5% autopay discount (after the first month) this place is ideal while I continue my apartment hunt! I may not even need to use it after the first month, and if I do, I still have great discounts to back me up. Great for college students during the summer since it's somewhat near the CSULB campus. Storing my belongings here was easy from the start. There is always someone ready to help and everything is done quickly. The location is very convenient as well. I rented three large units for over seven years and ran into some financial difficulty. But it meant nothing to them and in the end my units were auctioned and my personal items thrown in the trash. Such a difference in service from when I first rented to the present. fast,efficient, courteous personnel with prices I can afford!!!!!!! I needed a place to store my belongings and a place that wouldn't charge me a arm and leg. I went to several,,,,, I mean several place that was too damn high and tedious. A friend recommended me to Security Storage and low and behold I remembered that I use them over a decade ago when I was married, for the same reason...reasonable fast efficient and courteous. My first and only choice for storage! When I first moved to Long Beach in 2012 the first thing I searched for was a storage unit that was nearby, affordable, clean and safe. LBSSS made it an easy decision. I love the building and the tenants and staff are always friendly. I Have always felt safe at LBSSS that is most important with storage units. This is my fifth year as a tenant at LBSSS and I definitely recommend it to everyone! All of the staff members I have interacted with have provided excellent customer service! I have been a tenant for 15+ years. I am pleased with the service. Excellence all over from the unit to the service. I felt secure about leaving my personal belongings in thw unit. Very clean and affordable prices. Everyone who worked there was always available to help answer any questions. I was exhausted from searching for what I needed when Spare Foot led me to LB Security Storage and in no time they became a complete solution for me. Big thanks! It was really easy move! The staff was incredibly nice and helpful! Nice hardworking ladies who work there but their computer system couldn't handle this site's discount info. Took us well over 45 min. of everyone on staff & from other location working on fixing this problem. I sat while my friends waited with large rental truck full of stuff. Big waste of time. Plus slow going getting the elevator up to you when you need it since u rely on 1 of only 2 workers to operate it--& they are swamped. Not sure I got the right size storage unit either. Very peculiar but we were rushing to move with limited time. GRREAT DAY TO ALL WHO READ THIS !! IF YOU WANT GRREAT CUSTOMER SERVICE AND HELPFUL STAFFS !! WELL LOOK NO FURTHER .. AT LONG BEACH SECURITY SELF STOARGE IS DEFINITELY THE PLACE!! CHEAP AND AFFORABLE RATES AND BETTER PRICING IN INSURANCE RATES TOO !! Great price lots of room, friendly stafff..
Could not find a large unit like this anywhere else for such a great price. Super clean and friendly employees. Pleasant staff, fairly clean for an old building. Quick and courteous check in. Nice big elevator. All I can say for now. Although not climate controlled this appears to be an excellent facility. Edward was most professional in signing me up! There was not enough staff to provide good customer service. The element around the facility is suspect. Too many homeless loitering in and around the building. Saget your is a concern. I appreciate all the help that I received from the Manager! I really love the character of the older building. There is an elevator and carts available which help to get things moved more efficiently. The staff is friendly and helpful. Friendly and knowledgeable staff. 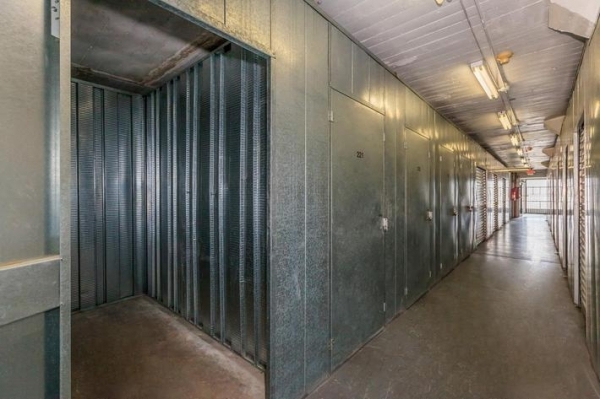 Adequate dollys and a large freight elevator to help you move in and out. 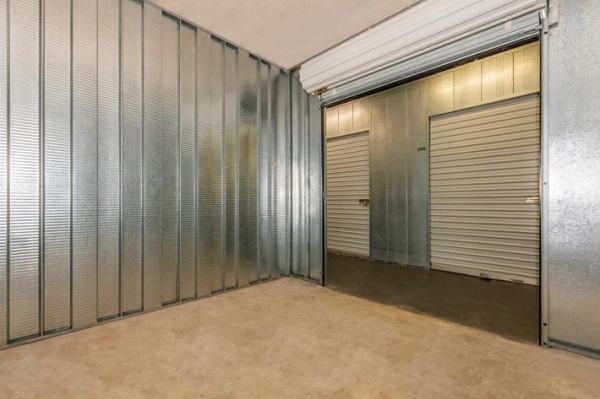 Very fairly priced and the storage units are well maintained. Accessing the loading dock is a little tricky since one must use the alley. This makes navigating a big truck a bit more difficult than most places but this is definitely not a deal breaker. The management was professional, efficient and helpful. He (Randall) was very clear when executing the paperwork. The facility was very clean and I haven't seen any bugs. It was a smooth and pleasant experience. Thanks. There are tons of homeless and destitute people roaming the halls, living out of their storage units, and I definitely feel like my stuff isn't safe there, with only our simple locks on the doors. I'm not too attached to my things, but still would like the peace of mind that my belongings will not be tampered with while I am away. Not the best part of town, but the place is clean and seems to be well managed. The high ceiings are nice. Friendly staff which you get to know because they have to operate the elevator. Still moving in. It is a little wierd to have to have an attendant run the elevator but overall I am very pleased so far. Everyone is very nice and helpful. 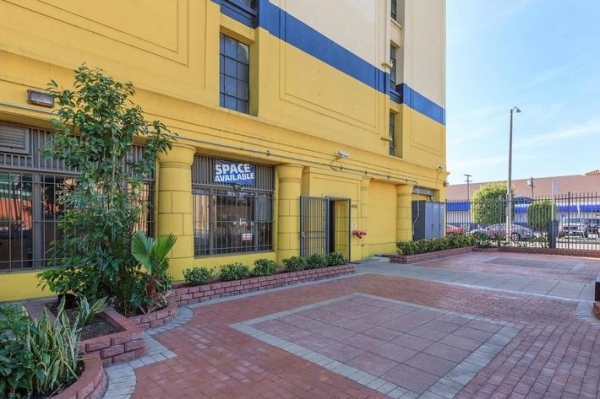 Location is convenient, easy to move in with freight elevator and several carts to use. The only thing that is a little inconvenient is having to wake for the elevator, but now a big deal at all. The staff here is friendly and helpful. Good place! Was in and out..no waiting prices are reasonable.. Very simple and stress free.